Varun Shankar is a junior at Dominion High School. He has always wanted to be a journalist, largely because of its writing focus. His love of sports then pushed him towards being a sports writer, a role he often fills for DHS Press. 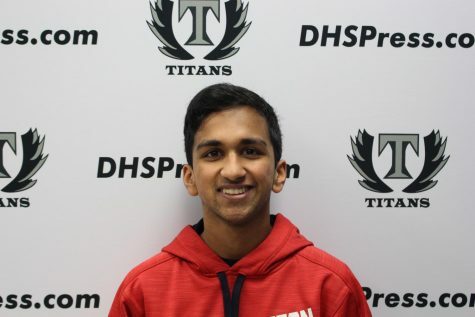 In addition to covering football, basketball, and baseball, Shankar also broadcasts the three sports as the main play-by-play announcer for the DHS Press Network. In addition to doing that, he has written numerous stories about professional sports, focusing on the NFL, NBA, and MLB. When he gets the time, Shankar occasionally hosts his own podcast, Down to the Wire, talking about professional sports.